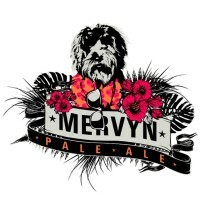 Blackman's Brewery Mervyn Pale Ale is READY!!!! It’s about to land!!! 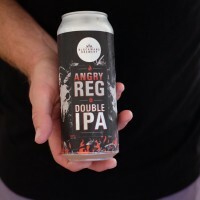 Batch #4 of our Angry Reginald IPA will be released on Saturday 17th February, and for the first time ever this beer is available in 500ml cans. This DIPA is hot property, so if you want to secure some now is the time – get on it. Pick up and delivery options are listed below. 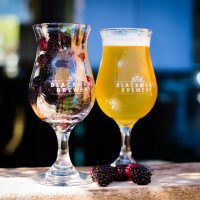 NEW BEER LAUNCH: Sylvan Berry Berlinerweisse – a collaboration brew by Blackman’s Brewery and 3 Ravens Brewing. A Berliner Weisse is traditionally a cloudy, sour, white beer. We’ve added 60 kg’s of berries from Ravens Farm Creek to enhance the tart flavour, give it a red/ruby colour and a delicious, summery taste. Come down to the brewery to see Renn (Blackman’s), Brendan (3 Ravens) and Hayden (Ravens Creek Farm) tapping the first keg of Sylvan at Blackman’s at 5pm on Wednesday 6th January! We’ll have some awesome food specials to match and the guys will stick around for a chat and any questions about our first sour beer. Sylvan is a one-off single batch and we’re pretty excited about it! Mervyn Pale Ale is READY!!!! We’re tapping this fruity, juicy, hoppy Summer beer on Friday night at the brewery. Renn will be hanging around to talk beer and tell you how he made this delicious Pale Ale. In fact the whole weekend is dedicated to Mervyn. We’ve created some awesome food specials to pair with our new Pale Ale. So make sure you get down to the brewery this weekend and get to know Merv! After an amazing first year, we’re so excited to announce some BIG NEWS! Blackman’s beers are now going to be available Australia wide! Our whole core range, as well as seasonal brews will start popping up in venues across the country starting this week. To celebrate, Renn the Brewer is going on tour! 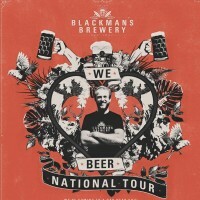 Our ‘We love beer’ National Tour kicks off 22nd October, which will see Blackman’s Tap Takeovers and Meet the Brewer events at pubs and bars in each city. Hope to see you on the road! 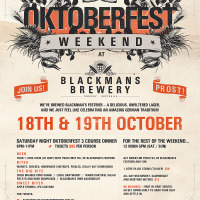 Book your tickets for the Saturday night 3-course Oktoberfest dinner! We take a limited number of bookings at either 6pm or 8pm, other than that we're a walk in venue. © Blackman's Brewery 2019. All rights reserved.